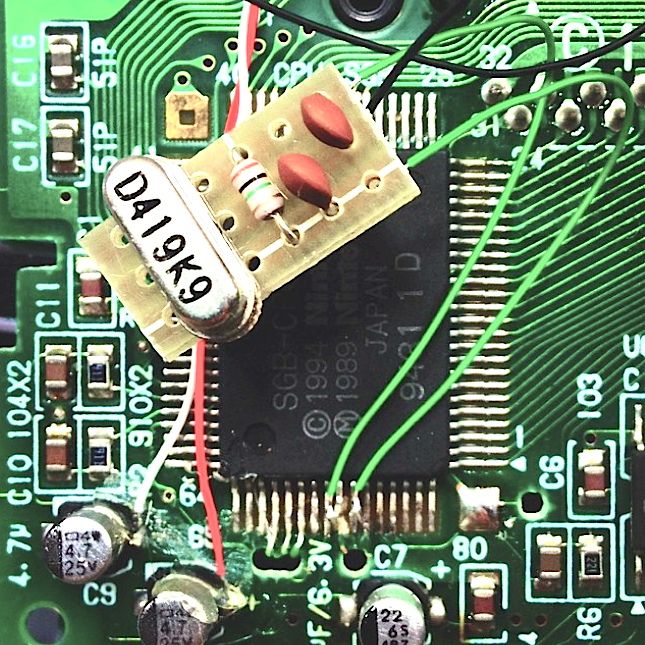 Did you know that the Super Game Boy is not perfectly in tune? We're now developing a simple kit that allows you to tune the SGB to the correct speed. Here's a photo of a quick prototype using original DMG parts. The kit will have smaller SMT parts. All you will need to do is lift two pins from the SGB processor off of the PCB and solder 3 wires.